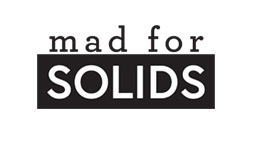 Welcome to the first day of voting in our Mad for Solids Bracket! Voting is open from 6 pm CDT Sunday, March 18th through 5:59 pm CDT Monday, March 19th. I love either one but Tiffany Lights beats the other by just a little. Hard choice--think I'm going with Tiffany Lights! Prosecco and Cream by the Sea! Tiffany Lights. Such a hard choice on this one! I am voting for Tiffany Lights.... may be inspired by stain glass but reminds me of the rainbow. I am voting for the Tiffany Lights. Have to say that I love Tiffany Lights. Tiffany Lights has my vote. I vote for Prosecco & Cream by the Sea. Tiffany Lights, but it was tough to decide. I would like to vote for Tiffany Lights. I love all the bright colors that Linda chose. They make me happy. I adore Prosecco and Cream! My vote goes to Tiffany Lights. Thanks! Tiffany Lights is my choice. Prosecco and Cream by the Sea looks delicious! Tiffany Lights - it is so cheerful! My vote is for Tiffany Lights. Tiffany Lights gets my vote. Prosecco & Cream by the Sea has my vote! Prosecco and Cream by the Sea. Both are lovely but I gotta have some blue-so Tiffany Lights! Tiffany Lights has my vote, but it was tough choosing! Prosecco & Cream by the Sea.